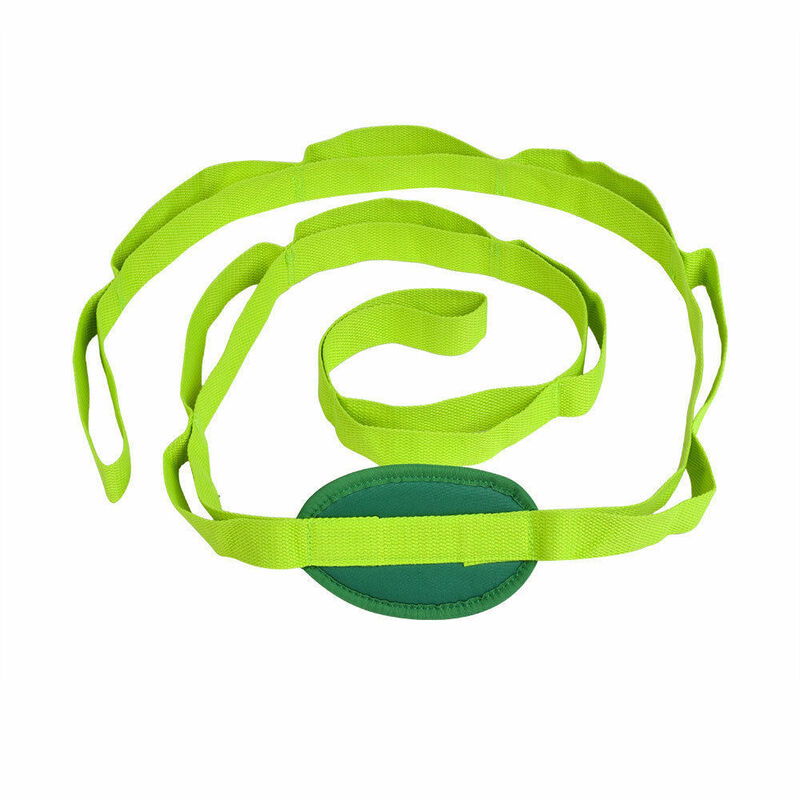 Yoga Stretch belt allow you to progress through different grip positions as you become more flexible. 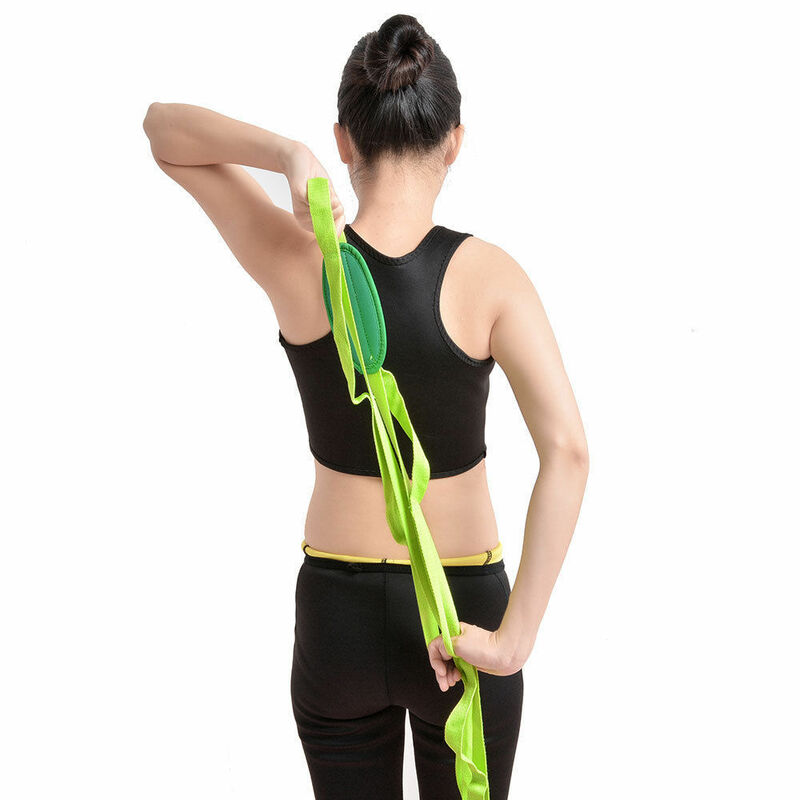 Use this stretch strap to prepare for daily activities, prevent injury, alleviate tightness and enhance overall flexibility and range of motion. High Quality: Made of a high quality of cotton, nylon, rubber thread blend that makes it soft to touch. You will never experience that burning feel and irritating sensation again during long stretches. Friendly Design: This is the newest and best way to deep stretch and get into difficult poses. This strap features a 10 fixed loop system with a cushioned pad in the center that can be used for foot placement or for elbows or knees on hard surfaces. Good for Everyone in Exercise: Being made extra long and wide for maximum comfort-ability. At 85" (217cm) long, it is a great fit for both men and women. Feel support and ease on hands and feet due to its 1" (2.5cm)width. There are wide loops throughout that fit most hands and feet to better ease into any stretch or pose. 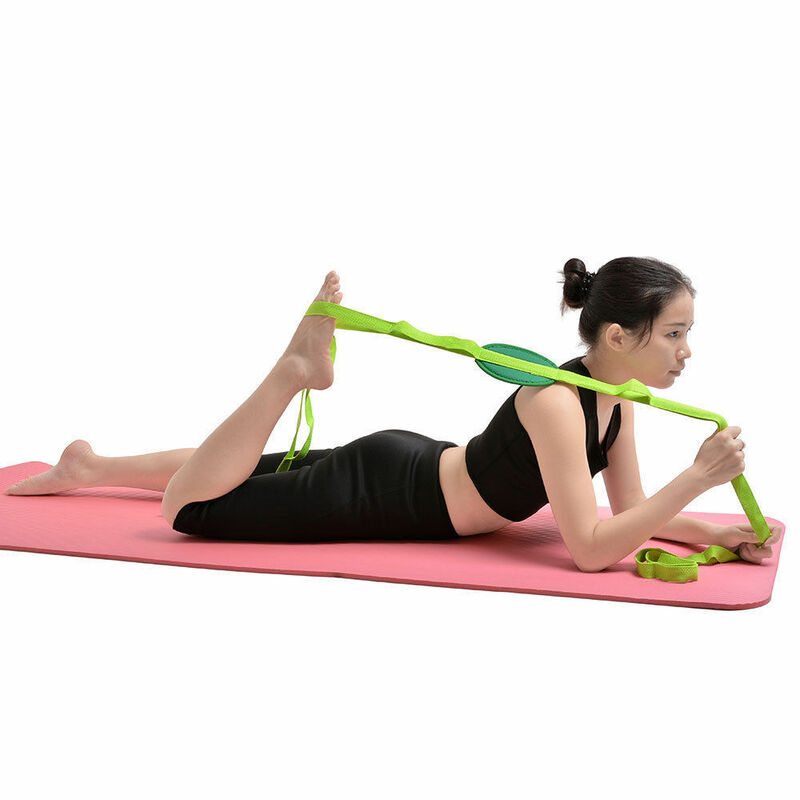 Multi-use: Great for pilates, Yoga, physical therapy exercises, and pre or post workout stretching. Long lasting: The premium blend and reinforced stitches will help stretch with no worries. The strap will pass every normal workout stress test.